The beautiful condo community of the Islander is located in Surfside Beach, South Carolina. This gorgeously landscaped complex features a charcoal grill and picnic area, a swimming pool, and breathtaking ocean views. You can choose from one, two, and three bedrooms with a deck or balcony area. The best amenity that the community has is its amazing location. 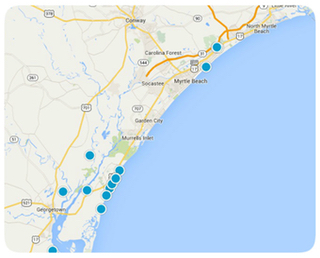 Residents are only a few minutes from some of the most popular areas in the Grand Strand. There are many areas for residents to enjoy shopping, dining, entertainment, nightlife, golf, and outdoor recreation. Residents are also near all of the amazing attractions in the Myrtle Beach area. Feel free to take a look at the beautiful condos we have available and let us know if you have any questions or interest.